Among the indigenous peoples of Siberia , the Dolgans occupy a special position . While most ethno - linguistic groups have a longstanding history and a clear ethnic and linguistic affiliation , the formation of the Dolgans has been a relatively recent development , and their ethnic origins as well as their linguistic affiliation have been a matter of debate . According to some scholars , the Dolgans , who inhabit the Taimyr Peninsula and the Anabar district of the Republic of Sakha ( Yakutia ) , are Turkic people who adopted a Tungusic name and certain Tungusic cultural features . Others hold the view that they have Tungusic origins but shifted to a Turkic language . Migrations and frequent contacts with other ethnic groups complicate a reconstruction of their past . This study explores the role of linguistic data in the reconstruction of Dolgan ( pre ) history . 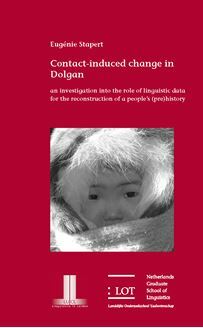 Accepting the idea that contact settings may correlate with linguistic outcomes , contact - induced changes in Dolgan are analysed and used to infer information about the nature of the contact settings in which they occurred . The linguistic conclusions are interpreted in a multidisciplinary context , integrating insights from history , ethnography as well as from population genetics . In particular , linguistic patterns of contact influence are correlated with genetic admixture patterns , providing new insights into the prehistoric migration patterns of the Dolgans . Due to its holistic approach , this study provides an example of the innovative ways in which data from different disciplines can be combined to gain a deeper understanding of a peopleâs past and identity , and provides a valuable contribution to the investigation of Siberian history .